Is home education legal in the United Kingdom? I thought that school was compulsory. All three of these acts clearly state that it is the responsibility of the parent to provide an education suitable for their child's age, ability, and aptitude. This means that it is entirely the parent's decision whether education takes place at school or at home. I have made the decision to home educate. How do I start? All children in the United Kingdom are officially home educated until their parents voluntarily decide to enrol them at a school. If your children haven't started primary school yet then simply don't apply for a place at a school. If your child attends a nursery class at a state school then they are not automatically given a place in reception class. The parents have to apply for it and are given a form. Simply state that your child will not be attending reception class and will leave school when they finish nursery class. Children are not given a place at a secondary school by default when they finish primary school. If you have a child at primary school who wants to be home educated instead of attending secondary school, then simply do not apply for a place at a secondary school. The child will be automatically deregistered from the state school system the day they finish primary school. The same situation applies with first, middle, and high schools. Children are automatically deregistered from the state school system the day they finish first or middle school. If your child is currently attending a state school in England or Wales then you must withdraw them from school by sending a letter of deregistration to the head teacher. There is no requirement to have to provide a reason why you have decided to home educate and neither are you required to inform the Local Authority. It is recommended that you deliver the letter by hand and ask for a signed receipt confirming that your child's name has been removed from the school's register. A similar procedure applies in Northern Ireland although parents should contact HEDNI for further advice. The procedure to withdraw children from a state school is Scotland is completely different from that in England, Wales and Northern Ireland. It is described in detail on the Schoolhouse website. My child attends a state school and has a Statement of Special Educational Needs. Am I still allowed to home educate him / her? Yes. There are no additional hurdles imposed by schools or the Local Authority on parents of children with a Statement of Special Educational Needs during the process of deregistering from a state school. Parents are simply able to withdraw their child from school in exactly the same way as if they did not have a Statement. The Local Authority is required by law to retain a copy of the Statement after the child has been withdrawn from school and has commenced home education. This statement will remain in force throughout the duration of home education (unless the parents have submitted a request to the Local Authority that the Statement is no longer maintained) and the Local Authority is under duty to review it annually. If the education provided satisfies the child's SEN as set out in the statement, then the Local Authority is no longer responsible for implementing the SEN provisions as set out in the Statment. If the education provided does not satisfy the child's SEN as set out in the statement then the Local Authority can then issue a School Attendance Order (SAO). Therefore, it is a wise decision for parents proposing to home educate to study their child's statement of SEN prior to withdrawing their child from school to ensure that all their SEN detailed within can be satisfied outside of the school system, and amendments made to the Statement where necessary. Parents who no longer wish that their child's Statement is maintained after home education has commenced are able to send a letter to the Local Authority asking them to cease maintaining the statement as it is no longer necessary. My child attends an independent school. What is the procedure to withdraw them? Simply send a letter of deregistration to the head teacher. It is unlikely that school fees for days paid for following withdrawal will be refunded, so it is advisable to withdraw your child on the date that the current fees run out. My child attends a Special Educational Needs school. Am I allowed to home educate him / her? Yes. However, the process to withdraw a child from a Special Educational Needs school is different from that of a conventional state school. The parents of a child who is registered to attend a Special Educational Needs school who has his or her education organised by a Local Authority require the permission of the Local Authority to withdraw their child from the school's register. Contact the head teacher to inform him / her that you are proposing to withdraw your child from the school after a particular date. There is no requirement to have to provide a reason why you have decided to withdraw your child from the school. Send a letter to your Local Authority requesting the consent to remove your child's name from their school's register and clearly state than once consent has been given you child will commence home education. The Local Authority cannot refuse permission to home educate without giving a good reason - which may be challenged by the parents. Once you have the consent, send a letter of deregistration to the head teacher of your child's school clearly stating that the Local Authority has given the permission to remove your child's name from the school's register. It is recommended that you deliver the letter by hand and ask for a signed receipt confirming that your child's name has been removed from the school's register. Do I have to inform the Local Authority before I withdraw a child from a state school? No - If you live in England or Wales. The head teacher will inform the Local Authority whenever children are withdrawn from their school. The situation is very similar for Northern Ireland but contact HEDNI for further advice. Yes - If you live in Scotland. Contact Schoolhouse for information and advice. Do I have to inform the Local Authority if I home eduate my children? No. If your child has never been registered at a state school; or if you move to an area served by another Local Authority; or if your child has completed their education at primary school but has not been registered at secondary school, then you are not obliged to notify the Local Authority. Do parents have to be qualified teachers to home educate their children? No. Teaching qualifications are only required to teach in state schools. Do parents have to hold any other qualifications such as GCSEs or university degrees to home educate their children? No. Parents can legally home educate even if they have no qualifications themselves. Do home educated children have to follow the National Curriculum, or the Curriculum for Excellence in Scotland? No. The National Curriculum and Curriculum for Excellence only applies to state schools. 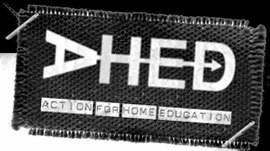 Home educated children are exempt from having to follow them because the Education Act 1996, Section 9; Education (Scotland) Act 1980, section 28; Education and Libraries (Northern Ireland) Order 1986, Article 44 states that children may be educated according to the wishes of their parents. Home educated children are not restricted to only one method of education like children at school are. There are many different educational methods to choose from and is up to the family to select whichever methods works best for their children. Neither are home educated children restricted to studying only the subjects taught in schools. They are free to study whatever they want including many fascinating and rewarding subjects not generally taught in schools. My child is very knowledgeable in certain subjects. Are they allowed to study the subjects to a more advanced level than children of the same age at school? Yes. The National Curriculum and Curriculum for Excellence does not apply to home educated children so they are able to study to a more advanced level than children of the same age at school. In fact, home educated children must receive an education which meets their ability and aptitude. Do home educating parents need to furnish and equip their house to the same standard as a school; purchase officially approved school textbooks and educational equipment; install government approved software packages on their computer; or give formal lessons in a classroom type setting? No. There is no legislation dictating what resources and environment are essential for home educated children. Parents and children are free to choose whatever equipment and teaching methods works best for them. Do home educating parents have to plan a curriculum in advance and home educated children follow a fixed timetable? No. Parents are free to make their own decisions about what their children learn on a day to day basis. Do home educated children have to study during the usual school hours during term time, or work a minimum number of hours per week? No. They are free to study whenever they want to. Do home educated children have to take SATS? No. SATS are not a qualification like GCSEs are. They are used by the government to assess the teaching quality of state schools. Therefore SATS are not applicable to home educated children or children who attend independent schools. Do home educated children have to take GCSE, or Standard Grade exams? No. They do not have to take any exams or study for any qualifications. Can home educated children take GCSEs? Yes. Home educated children are able to take GCSEs either as a private candidate, at a cram college, using a distance learning course, or at some state colleges. Unfortunately, most state schools will not allow home educated children to take their GCSE exams there unless they enrol as full time students in Y10. Some GCSEs are easier to take as a private candidate than others due coursework requirements and the popularity of the subject. Do alternatives exist to GCSEs and Standard Grades? Yes. IGCSEs are an identical qualification to GCSEs except that they are all examination with no coursework. An increasing number of independent schools are now replacing their GCSEs with IGCSEs because the exam papers are deemed to be better suited to higher ability students. Some home educated children progress directly into A Levels without GCSEs. Other alternatives to GCSEs and A Levels are courses from the Open University and various vocational qualifications offered from both state and private institutions. Do home educated children have to wait until they are 16 to take GCSEs? No. There is no minimum age to take a GCSE (or IGCSE or A Level) exam in the UK. There are even 6 year olds with GCSEs! Many home educated children take their GCSEs piecemeal over several years rather than in one go at 16. Are home educated children subject to monitoring by inspectors from the Local Authority? Officially no but inspections do happen. There is no specific legislation which requires Local Authorities to monitor home educated children. Some home educating parents never even hear from their Local Authority, whilst other parents find their Local Authority requests regular inspections. Can a Local Authority force a home educated child to attend school? A Local Authority has the duty to intervene if it appears that a home educated child is either not receiving a suitable education, or if they have a statement of SEN and the education provided does not satisfy the child's SEN as set out in the statement. The Local Authority can then issue a School Attendance Order (SAO) and force your child to attend the school of their choice. This is a very rare occurrence, and should not happen without a lot of prior correspondence beforehand. How can home educating parents convince Local Authority inspectors that they are providing an education of a sufficiently high standard? There are many ways including written reports; samples of work produced by their children; a meeting with officials from the Local Authority; an endorsement of the educational provision by a recognised third party; and examination results. Are Local Authorities obliged to provide any support to home educating families. The only support Local Authorities are obliged to provided for home educating families is that relating to enrolling a child at a state school or college. Is money available from Central Government or Local Authorities for home educating parents in the form of grants or tax rebates. Usually no. Home educating families have to finance the education of their children entirely from their own incomes. Home educating single parents and parents on a low income may be eligible to receive Income Support although the government is gradually abolishing this benefit. Is it possible for a home educated child to return to school if things don't work out well or if they require facilities that schools have that aren't available outside school? Yes. Many parents are very hesitant at embarking on home education because they think it is a one way ticket when it isn't. If a home educated child wishes to attend school then his or her parents can apply to a state primary or secondary school to start either immediately or the forthcoming September (August in Scotland) and they will be given a place unless the school is oversubscribed. If a home educated child returns to school then will they be in a lower year group than that representative of their chronological age in order to catch up on work that they may have missed? No. This rumour that home educated children who wish to attend a state school have to repeat an academic year is a hoax that still sadly circulates even today. State schools allocate students to their year group using their chronological age, not ability. I have discussed home education with the teachers of my children's school and / or officials from the local authority and they advise against it. Surely these people are right because they are professionals and therefore more knowledgeable about the education system than I am? These people are paid a salary, courtesy of the taxpayer, to try to ensure that all children attend a state school. This is why very few of them will recommend home education even when it is clearly in a child's best interests. It must also be borne in mind that the wealth of educational knowledge that teachers and Local Authority officials possess is only that which relates to state schools. Only a tiny fraction of these so called professionals have any real knowledge or experience of home education as they have never participated in it. Neither is home education taught in official training courses for teachers and Local Authority officials.